Responsive Web Design. Most of today’s traffic is now done on smartphones and other mobile or tablet devices. In fact, in 2017 70% the most views on a normal website in the US and Canada was viewed on mobile and tablet devices. Now it’s important to note that tablet devices are declining, why? Well, it’s because fewer people are buying redundant iPads and Samsung Tablets, people are realizing how unproductive Apple and Android tablets are. We’ve found that many of the websites on the web today are not designed, utilized or optimized in ways that work and look great on a phone or tablet device. 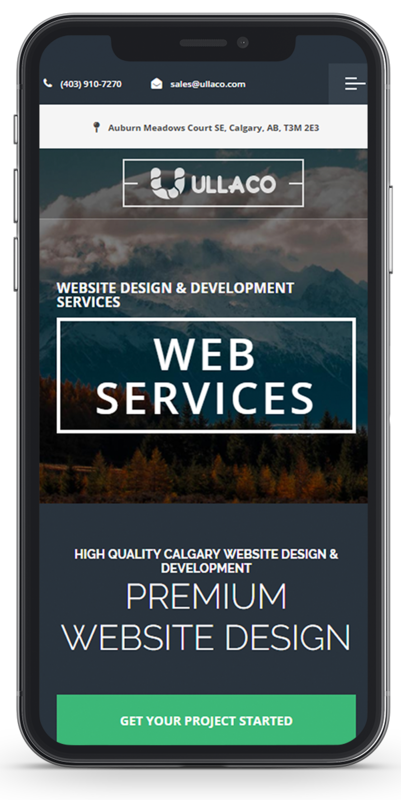 Most small to medium-sized businesses in Calgarys website lacks the basic Mobile and or Tablet functionality. Normally their website is designed for desktop and not for mobile. 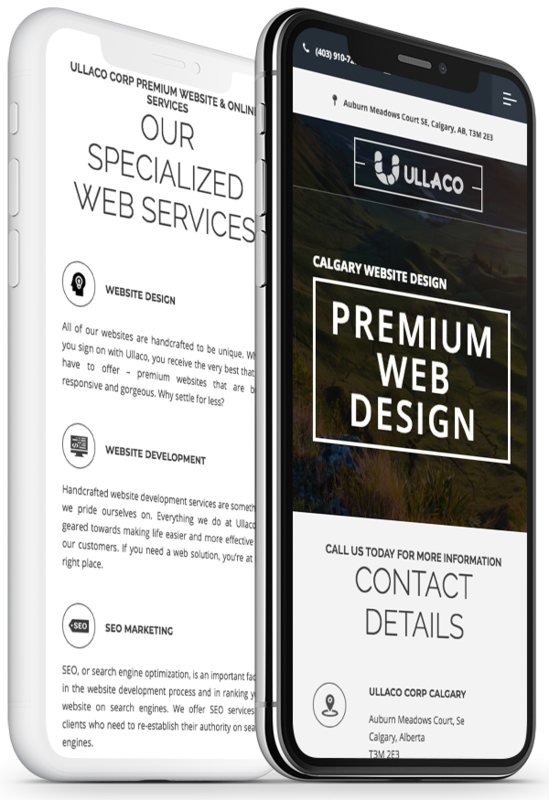 Our local Calgary web designers and website developers at Ullaco have extensive experience in architecting and developing websites on both desktop and smartphones platforms. We’ve made great efforts to ensure that all our published websites look, feel and taste phenomenal on smartphone, tablets, and desktops platforms. There are multiple responsive boilerplate options such as Twitter Bootstrap to choose from. These Responsive platforms are great to use as a foundation when creating a Responsive website. However, Responsive foundations like Bootstrap often is not enough to make the website design stand out. At Ullaco creating a responsive web design that “Pops” or stands out is something we aim to achieve with all our website design and web development work. In most cases, website structure or content such as images, font sizes or typography needs extra attention to display correctly on mobile devices. Sometimes functionalities that work well on a desktop just don’t work well on mobile devices or simply are not needed. The reverse is true with mobile devices – some functionalities should only be used on the mobile site and not on a desktop. If you are looking for a responsive web design, Ullaco will make sure your web design works on all popular platforms. Creating a High-Quality Responsive website is our standard and fundamental practice for all of our projects. For more information you can visit our website at ullaco.com and reach out to us!